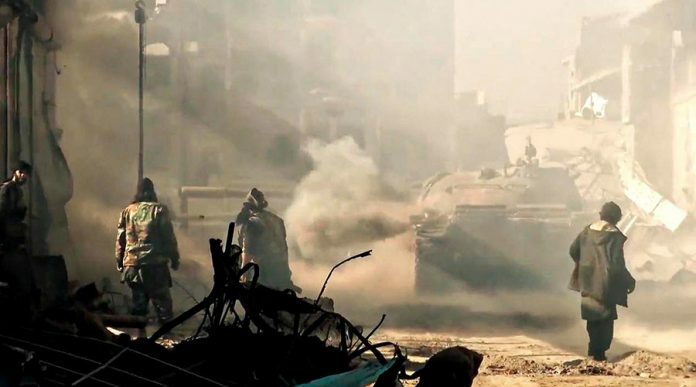 “Currently, a grouping of Syrian government troops is rapidly carrying out an offensive along the eastern shore of the Euphrates River, moving toward Deir ez-Zor. The goal is to unblock this city and destroy the last stronghold of ISIS in Syria,” the Defense Ministry said. The lifting of siege of Deir ez-Zor will lead to the complete defeat of the most combat-effective formations of ISIS terrorist group in Syria, the chief of the Russian General Staff’s Main Operational Directorate said on Friday.